What do you look for when looking for Red Deer Plumbers? If you are looking for a knowledgeable, reliable, and courteous plumber in Red Deer, your search is over! Action Auger Red Deer is the best plumbing company in Red Deer, period. We have an A+ rating with the Better Business Bureau, and for good reason. We strive to provide you with the best experience possible; We don’t just meet expectations, we exceed them. Whatever your plumbing needs, our Red Deer Plumbers are here to help you 24/7. Have we serviced or repaired plumbing in your home recently? We'd love to hear your feedback on how we did! 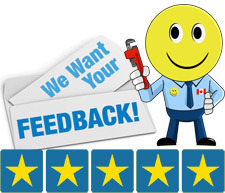 "Service was good, contacted the company the late evening prior and they were able to repair the following morning. The office staff called to confirm and aware me of the expected time of arrival. The plumber had necessary supplies in the work van and provided the landlord with necessary information. The plumber was very nice and kept the area clean. Thanks!" Anywhere in Red Deer or surrounding areas, we have certified professional plumbers waiting to help. This includes Bowden, Carstairs, Innisfail, Olds, Ponoka, Stettler, Sundre and Sylvan Lake. Give us a call! 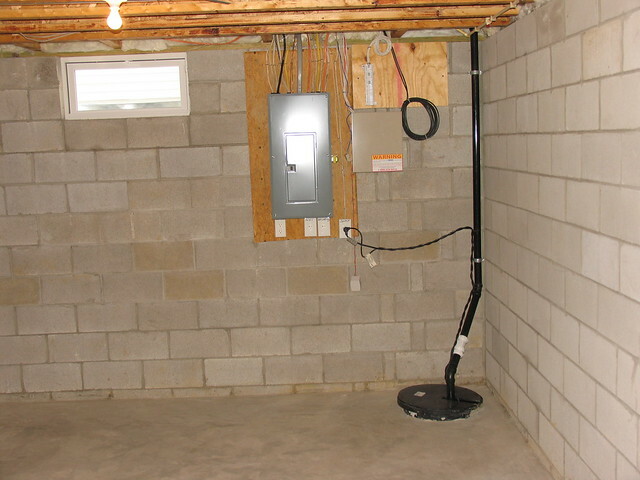 Some homes have sump pumps installed. These devices serve to push water away from the structure so as to protect it from water damage. The expelled water is usually pushed to a location where it won’t cause further harm such as a city’s storm sewer or a dry well. Older sump pumps may push the water into the local sanitary sewer, though this has fallen out of favour with most municipalities as it puts additional pressure on the important sanitary lines and could lead to bigger disasters should they become overwhelmed. Some places have even outlawed this practice. Becoming familiar with local bylaws is the first step in determining whether or not you need a sump pump. Certain municipalities mandate sump pump installations in all homes, while others might have laws that require one only in designated areas. Depending on where you live, there may also be tax incentives available for installing one. If you determine that you are not legally obligated to have a sump pump in your home, but think you might benefit from having one anyways, you should contact a professional who can provide qualified information about your location’s water table and suggestions for the best way to move ahead. A basement that is showing visible in its outer wall, mould growth, or a general musty smell might require a sump pump. If one is installed, be sure to have it installed with some kind of backup so that it can continue to protect your home even during an emergency. With years of expertise in sump pump maintenance and installation, Action Auger can assist you with your home’s needs. Give us a call anytime – day or night – to set up an appointment. © Copyright 2019 by Action Auger Red Deer Plumbing.